This is my most recent picture from Labor Day weekend. I was helping one of my friends with her wedding dress shopping. 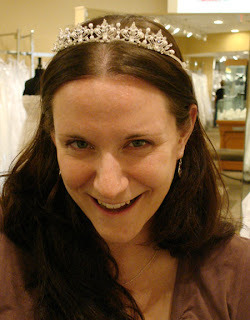 So of course, I had to try on tiara's and other fun stuff.